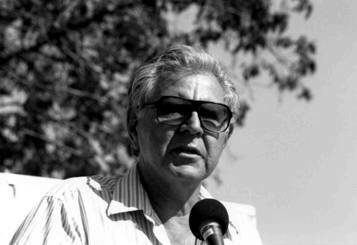 RODOLFO F. ACUÑA, the founding chair of the Chicana/o Studies department at then San Fernando Valley State (California State University at Northridge) — the largest Chicana/o Studies Department in the United States with 27 tenured professors, has authored-one twenty books, three of which received the Gustavus Myers Award for the Outstanding Book on Race Relations in North America. Acuña has received the National Hispanic Institute Lifetime Achievement Award, Austin, Texas, 2008, A Life Time Achievement Award from the Mexican American Legal Defense and Education Fund, 2010, the Distinguished Scholar Award from the National Association for Chicano Studies, the Emil Freed Award for Community Service, and the Founder’s Award for Community Service from the Liberty Hill Foundation among others. Black Issues in Higher Education selected Acuña one of the “100 Most Influential Educators of the 20th Century. Among his best-known books are Voices of the U.S. Latino Experience [Three Volumes] (Greenwood Press, 2008), Corridors of Migration: Odyssey of Mexican Laborers, 1600-1933 (University of Arizona 2007) Winner of a CHOICE [American Library Association] outstanding Academic Title Award. Occupied America: A History of Chicanos 8th edition (Pearson, 2014); Sometimes There is No Other Side: The Myth of Equality (Notre Dame, 1998); Anything But Mexican: Chicanos in Contemporary Los Angeles. (Verso Press, 1996), US Latinos: An Inquiry (Greenwood Press, 2003), Community Under Siege (UCLA, 1984), The Sonoran Strongman (University of Arizona, 1974). His latest book is The Making of Chicana/o Studies: In the Trenches of Academe (Rutgers 2011). Acuña has also published three children’s books and more than 200 academic and public articles in addition to over 160 book reviews in academic journals. In 1991, he was invited to present at a plenary section of the American Historical Association and authored a piece in a pamphlet encouraging young scholars to enter the field of history: “Become a Historian?” http://www.historians.org/pubs/Free/why/ACUNA.HTM and in July 2014 the National Association of Educators (NEA) will present me with its Humanitarian Award.